Cloud service for Quantum Computing, a next step into the future? THE QUANTUM AGE IS HERE. 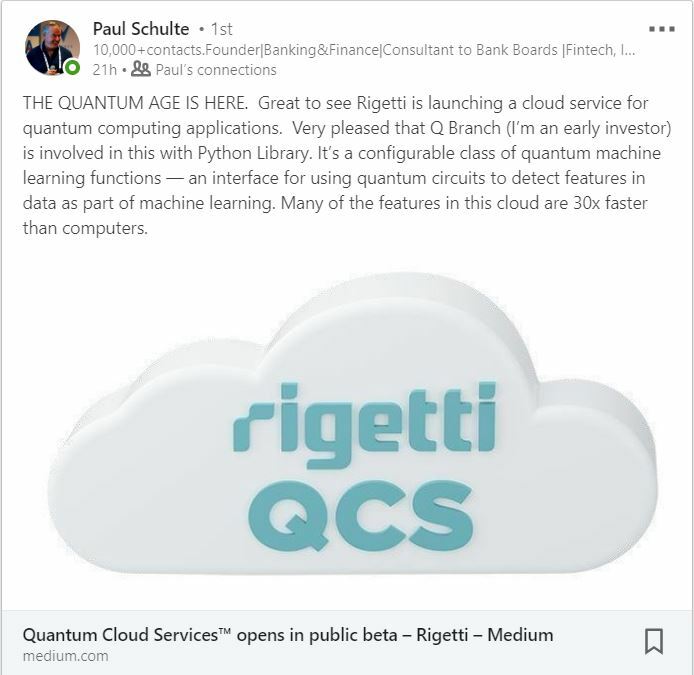 Great to see Rigetti is launching a cloud service for quantum computing applications. Very pleased that Q Branch (I’m an early investor) is involved in this with Python Library. It’s a configurable class of quantum machine learning functions — an interface for using quantum circuits to detect features in data as part of machine learning. Many of the features in this cloud are 30x faster than computers.